Sardella’s Pizza and Wings has been creating and delivering fresh pizzas, wings, and Italian pasta favorites for nearly 30 years. Meat lovers, vegetarians, health-conscious eaters, and kids love our wide variety of tastes on our menu. 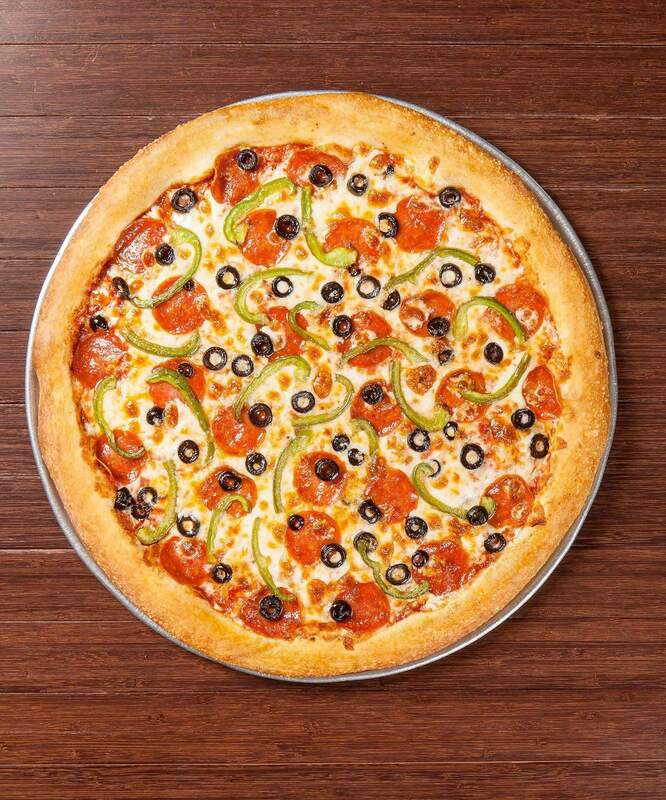 We offer thousands of ways to customize your meal with toppings, crust options, and sauces or pre-designed specialty pizzas. Some of our favorite specialty pies include the Buffalo Chicken, the Bianco “White”, Pomodoro, and the Works! Try one of our great Lunch Specials if you need something quick and tasty. We now offer gluten-free pizza and salads at all four Sardella’s locations! That’s right, you can now get gluten-free pizza delivery without making a special trip to the other side of town. Each employee is trained in properly preparing and handling gluten-free menu items using the international standards of safety. Heading home from work on the State Route 51? The Sardella’s North Phoenix location at 3143 E. Greenway Rd. Phoenix, AZ 85032 is right off the freeway from Phoenix or Scottsdale in the northwest corner of Paradise Valley! Our main cross streets are 32nd St and Greenway Rd. near the Phoenix Mountains Preserve. Grab a family portion of pasta, some pizza, beer and wings or have it all delivered right to your door tonight! Order online or by phone at (602) 485-1919.